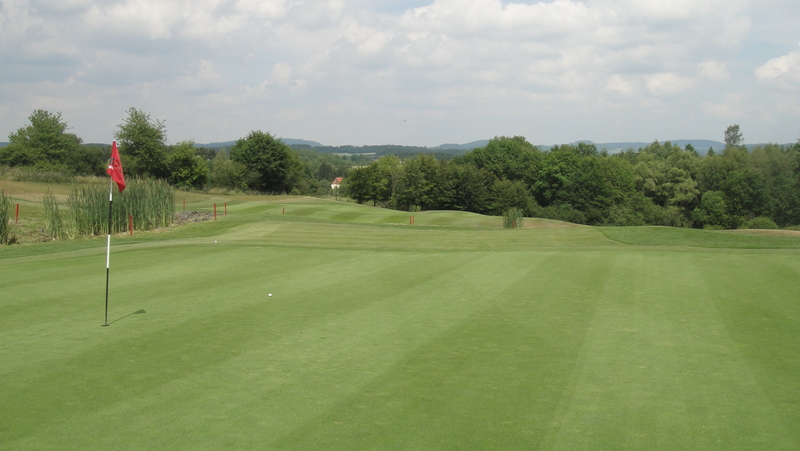 Originally, the plan was to play both courses of the best German golf club, which currently is St. Leon-Rot. This famous venue hosted several big tournaments and is known for perfect and demanding course architecture and as well for its famous club facilities like the training area where guys like Frank Adamowicz, former German national coach, are trying to improve amateur’s game. We, that’s a golf buddy and me, we wanted to play the 36 holes on one single (week-)day! 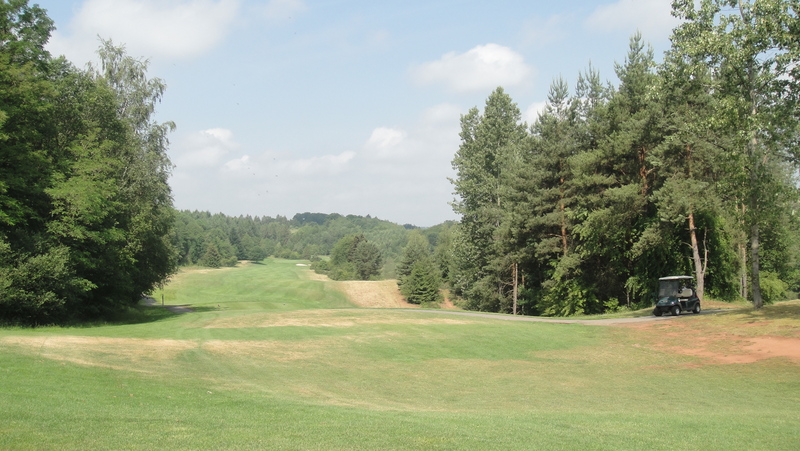 So getting there (it’s near Heidelberg) in early morning, playing the first 18-holes course, short break, maybe some lunch, before it gets to the other 18-holes course, and then back home. One course is called “St. Leon”, the other “Rot” – just like the districts they are situated in. But unfortunately we got a last-minute information that one of the two courses would be closed due to tournaments on that particular day. That was bad news and since we already had taken a day off for this event, we decided to find a proper alternative. And boy, we found one! 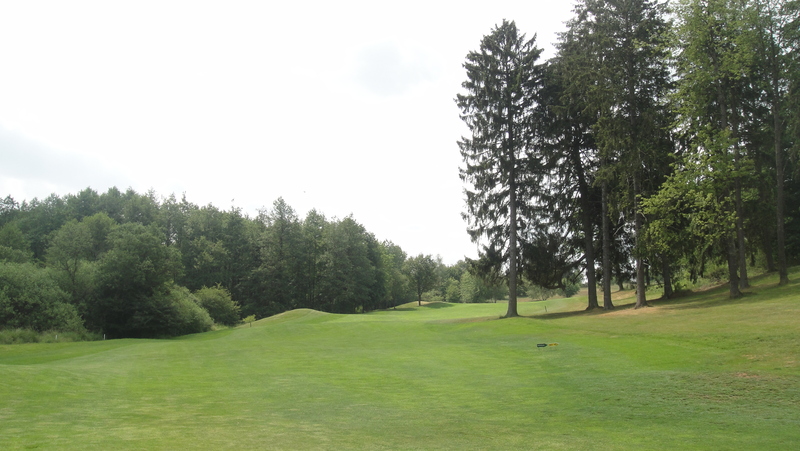 Instead of playing 36 holes in St. Leon-Rot, we played 27 holes in St. Wendel (in the federal state of Saarland). 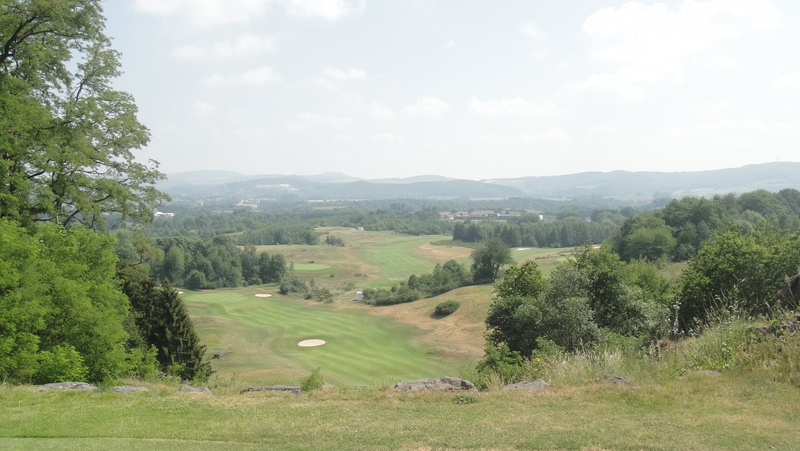 This club is quite new and the course is breathtaking at many spots. 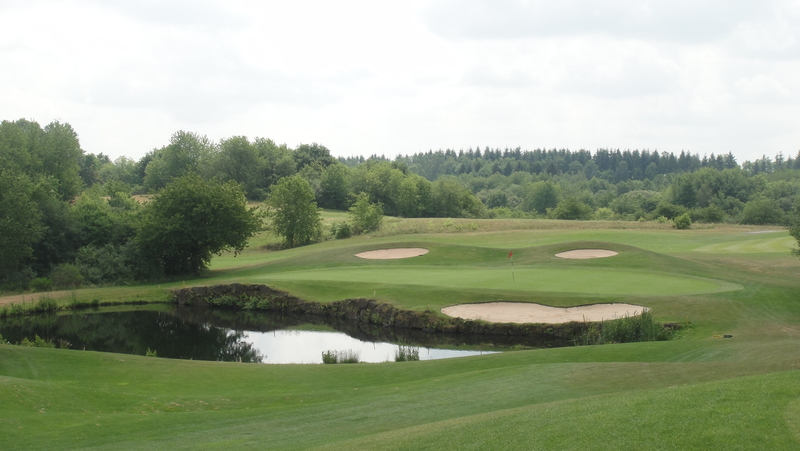 The area is devided into three 9-holes courses (A, B, C) and have some different characteristics. One is called “Florida”, one’s name is “Ireland” and the other one is called “Canada”, I think. One element that is relevant for all three: vast altitude differences! So it’s very recommended to use a cart and since we opted for the “27-holes version” it was even more appropriate! No chance to walk that, believe me! What can I say? The courses are very beautiful, were in very good shape and the setting is demanding but very interesting. As often, it’s not easy to navigate on a new course, but my mate has played it several times before and was a huge help. The field where he wasn’t able to help, was my game. Luckily I found some balls in the bushes, otherwise I couldn’t have finished the round, since i was running out of balls on the last holes. That’s embarrassing… but even more embarrassing is that I really had my problems with the woods again. So I could’t show a glimpse of my strong golf abilities and the only shots that were kept in his mind were the “ladies” I played on several holes. He reminded me later on when we had dinner on the sun terrace of the modern “Angel’s Golf Hotel”, which btw looks pretty neat in combination to the restaurant and the golf park. It’s a nice combination. Fortunately there wasn’t much traffic on the course, hence we had next to no waiting time at all and needed just approx 90 minutes per course (9-holes)… not bad, huh?! I love e-carts from today on and am fan of the club-car-facebook-page! But no joking: riding such cart looks like two old men, barely able to stand or even to play. But in such circumstances and with the full 27-holes package, there wasn’t a real alternative to that. The only way to keep us alive and to let us store all the belongings we brought (drinks, food, clothing and for sure bags and club). These carts were really useful and valuable at that time! I would highly recommend this club to everybody who is able to play a decent ball, otherwise it’s more or less a strain. It’s perfectly set into the landscape, there are mostly interesting and narrow fairways and there isn’t a boring hole at all. 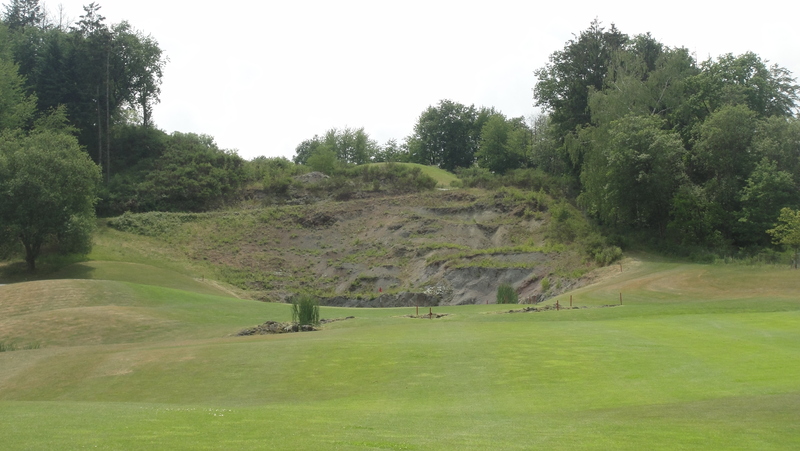 Very less water in play but hard to play nicely due to other mean hazards. P.S. Playing there is not very expensive! I payed 75 EUR for 27 holes (on a tuesday) what equals a standard 50 EUR greenfee and hours of fun. A cart is charged with 10 EUR for golf absolute members who pay not one single cent more to get on the course! My playing partner, golf absolute member in Frankfurt, played the whole day free of charge. And even the drinks afterwards were on me… paying for the “ladies”! Previous PostBMW golf cup international… what a day!Next Postgolffriends trophy 2011… good start, poor finish!